Get ready for thrilling action and adventure with Jurassic World! 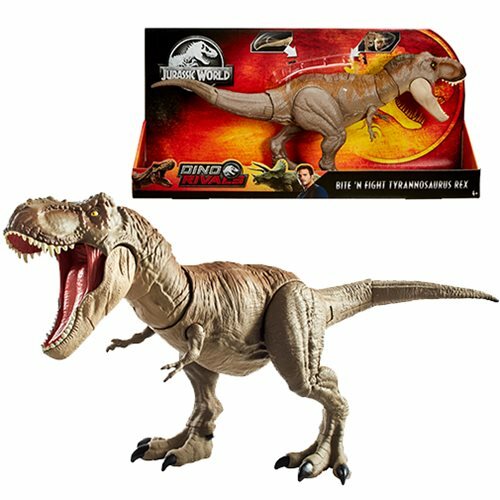 This Jurassic World Bite 'n Fight T-Rex Action Figure has dual two-button activation that lets you move the tail back and forth and move the head back and forth ending with a ferocious chomp! Press both buttons for dual tail and head action! This fan favorite character has movie-inspired sculpting and authentic color and detail.